Have you ever collected leaves? There come in so many different shapes. Some are long and slender, some roundish and then some are heart shaped. Some plants even have leaves that have deep splits in them, as if the leaf has been torn. Isn't it amazing that they come in so many different shapes? What would have affected their shape? First of all, why is the average leaf shaped to be thick in the middle and tapered to the ends? Leaf is the kitchen of the plant. That's where the plant cooks its food. To cook its food, it needs water, minerals, air and sunlight. Water and minerals are transported from the roots through a network of viens. It also absorbs carbon dioxide from the surrounding air and sunlight during the day. 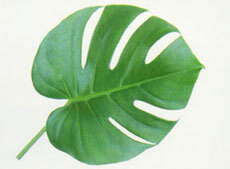 The shape of a leaf has been designed by nature to be as efficient as possible in doing its job! The difference in the shapes are a result of the different kind of environments each of the plants are designed to live in. Let us examine a few such factors. Plants face a strange predicament. While water and minerals are absorbed closer to the ground, light is available higher up from the ground. 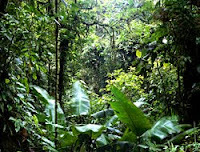 Forest floors are usually shaded by trees that are higher. A plant that is not tall and has to grow in shade, needs to capture as much sunlight as possible. Such plants develop fat roundish leaves. But it's not easy for the tall plants either. They have to transport water and minerals all the way from the ground to the leaves. The farther the veins that carry water go, the narrower they become. Such narrow viens can not form intricate network of viens. Tall plants therefore have narrower leaves with mostly straight viens. As the plant grows, the leaves at the bottom of the plant become less effective as they are shaded by other leaves. The plant therefore lets go or sheds the lower leaves. So leaves need to be easily detachable. 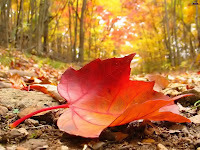 Leaves also need to be flexible and must bend easily to give way to passing wind. Otherwise wind force will probably uproot the tree. Therefore leaves are slender at the point they are attached to the stem, to make them flexible and easily detachable. Big leaves also have the problem of tearing up in strong winds. Plants that have to survive windy places, like the coconut tree, develop cuts in their leaves so that air can pass through easily. 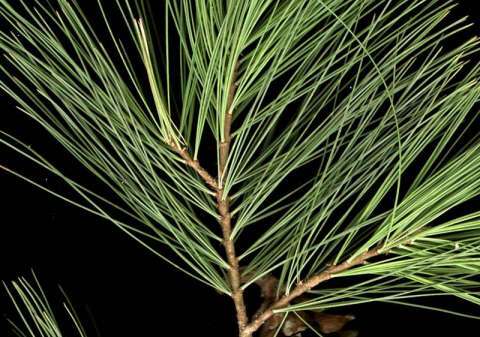 Some such plants also have thread like leaves, like the pine tree. Water is scarce in some places. Some plants that grow in drier places must grab and store as much water as possible when they can. Such plants have thicker leaves that store water. 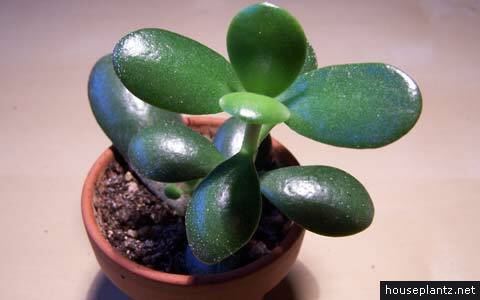 They also tend to have smaller leaves to avoid the stored water from evaporating too fast. Even an abundance of water needs to be tackled. Plants that grow near or on water need to keep their leaves above water where they can have enough air and light. Such plants also have thicker leaves that have air pockets to keep them afloat. Plants that grow in dry and cold places usually have thin leaves. Such leaves minimize water evaporation from the leaves. They also do not let ice/frost form easily on them, protecting the plant from damage. 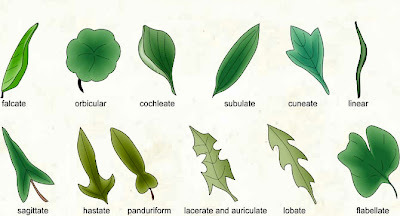 Apart from these simple factors, there are many other reasons why plants may develop different style of leaves. It is a combination of circumstances that finally decide the best leaf shape for a plant. While most simple leaf shapes can be explained, certain shapes have been a matter of debate for scientists since a long time. Do you know what the leaf of cactus actually is? 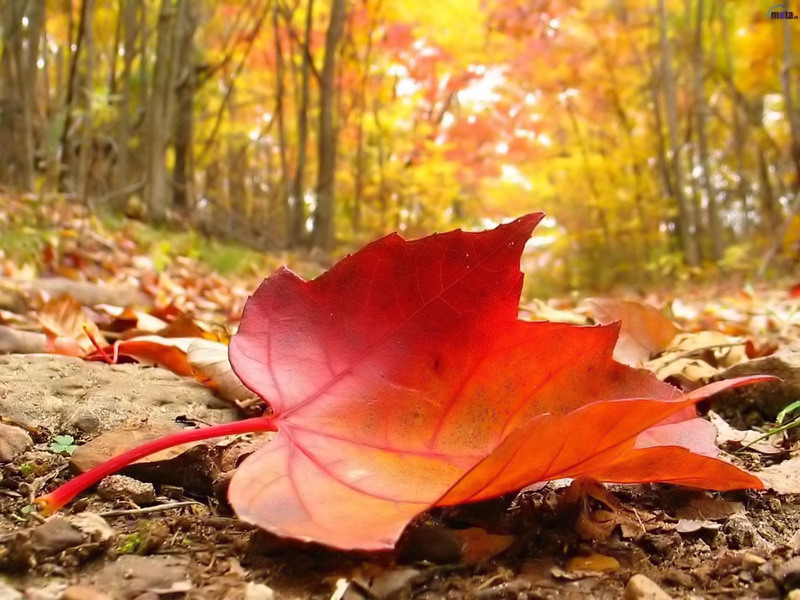 Why do some leaves turn colorful before they fall? Your explanations are very interesting to read. @sush Glad that you liked it. Hope to post more such interesting articles in the future. Thanks. 'Nature is the prolific teacher and we humans are the learners' - fascinating isn't it?? ?